A suspected poacher was trampled to death by a wild elephant in the forest under Kuttampuzha range near Thattekad Bird Sanctuary on Wednesday night. KOCHI: A suspected poacher was trampled to death by a wild elephant in the forest under Kuttampuzha range near Thattekad Bird Sanctuary on Wednesday night. 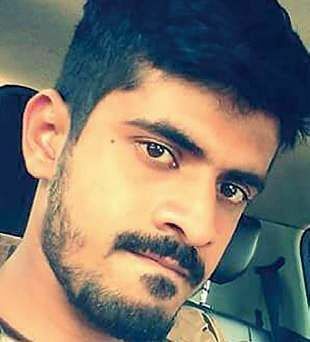 According to Kuttampuzha police, a youth, Tony Mathew, 26 of Vazhuthanappillil House in Thattekad was trampled to death by a wild elephant. Another person - Basil Thankachan, 35, Vattappilly House, Thattekad - sustained grievous injuries in the attack. He has been admitted to a private hospital in Ernakulam with injuries on spinal cord. It is said that the victims were members of a four-member gang which ventured into the forest on Wednesday night for hunting. Meanwhile, the Forest Department has launched an inquiry into the incident after registering a case for trespassing into the sanctuary with lethal weapons. According to the forest officials, four persons, Tony, Basil, Sajith Joseph,30, of Vadakkel in Thattekad, and Anish,25, Nalucent Colony in Thattekad, ventured into the forest on Wednesday night. They were chased by a wild elephant at Bharanikuzhy around 10 pm. While Sajith and Anish managed to escape Tony and Basil were mauled by the elephant. Tony succumbed to injuries at a private hospital in Kothamangalam by 2 am on Thursday. According to the officials, Tony was not able to run as he sustained an injury on his leg after the country-made gun in his possession went-off accidentally while being chased by the elephant. Kuttampuzha Forest Range Officer T X Xavier said they have launched a probe. “A team led by range officer Sanjayan visited the spot in the forest and recovered a country-made gun, which waS allegedly used by the accused. Entering the sanctuary with an intention of hunting is a serious offence”, he added. Sajith and Anish have been absconding after the incident.